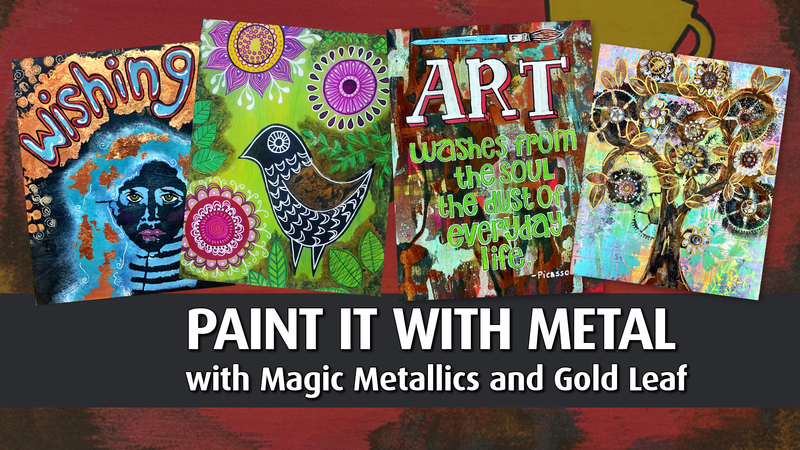 Magic Metallics paints can transform any brand new surface into something old and rusty right before your eyes! Introduce yourself to their amazing properties by joining us for this fun and unique workshop where you will paint on a wood panel and make it look like rustic metal and add gold leaf to make it shine. There are no harsh chemicals used in the process and all the metal paints and oxidizers we use are completely non toxic. It’s not like anything you’ve ever seen! Once you try it, you’ll want to transform everything you see.